It’s 2018 and so far in the UK, before we’ve even reached the halfway point of the year, we’ve had three Fate-related anime releases. Crunchyroll has rolled out the quaint online series Today’s Menu for Emiya Family, Netflix released the second series of Fate/Apocrypha, and the movie Fate/Grand Order: First Order is out now on DVD and Blu-ray. However, there are more Fate releases to come: Fate/Extra Last Encore is due to stream on Netflix some point this year, the Heaven’s Feel Movie 1 that’s currently doing the rounds in American cinemas could very well come over to the UK later this year, and who knows what other Fate-related properties could be announced, licensed or re-released over the coming months? There’s no denying that Fate, that once started as a Japanese exclusive video game release, is now a worldwide cash-cow of a franchise with its own powerhouse stake in the anime landscape. What started out as an experiment with the first anime adaptation back in 2006, is just one of the now double-digit Fate anime available to watch via streaming or home media. However, taking the first step into such a colossal franchise – despite it being a very popular series with a massive fan base – can be seen as overwhelming for a viewer, and not just because the names themselves are often jumbled-up messes of the English language. From the multiple adaptations of the original source material, to the various ‘alternative realities’ that have been animated over the course of 12 years so far, it’s no wonder that any newcomer to Fate would have a meltdown trying to figure out what the series is even about, let alone where to begin their journey. So, as the Fate franchise is not going away any time soon, and with many fantastical stories waiting to be uncovered, Anime UK News presents a beginner’s guide to Fate. We’ll be mostly looking at the anime series that are currently available in the UK but we will also be discussing its origins and various releases, so that any reader can understand the background of the franchise and decide where to go from here. So, what exactly IS Fate? The basic premise of Fate is thusly: in an alternative world where magic exists, everything from spell casting to alchemy, there is a great battle called ‘The Holy Grail War’ that occurs every 60 years in secret. During this war, seven sorcerers (or magi) from any corner of the world may participate, with the aim to win the Holy Grail of legends that is said to grant any wish, no matter how great or small it may be. The magi however do not fight each other directly; they must summon beings known as Servants, who are actually legendary heroes from the past (such as Alexander the Great, Hercules, Jeanne D’Arc, etc) that fall under multiple battle classes: Saber, Caster, Lancer, Rider, Berserker, Archer and Assassin. Using the strengths of their chosen Servants, the magi (named Masters during the War) must use their combined power to outwit the opponents and win the Grail, for only one pair of Master and Servant can win the right to use its ultimate magic. Every Fate story uses the rules of mage-craft, the War, and the Servants/Masters dynamic in some capacity, whether it be directly revolving around a particular war or using the Masters and Servants for other purposes. In terms of identifying what anime series fall under the Fate umbrella, it’s actually very simple: if the title of the anime, film, manga, video game or whatever has the word ‘Fate’ with a forward slash after it, then it’s part of the Fate franchise, regardless the amount of weird words that come after the slash. There are a few series (e.g. Carnival Phantasm and Today’s Menu for Emiya Family) that don’t follow this rule but they are in the minority. Either way, there’s a large amount of content and information to devour from the Fate franchise from books, to video games, to anime and even audio dramas. Cool, but why do the words ‘Nasuverse’ & ‘Type Moon’ keep cropping up when Fate is discussed? Type Moon is a Japanese video game company, founded by artist Takashi Takeuchi and writer Kinoko Nasu, who are also the creators of Fate. Under the Type Moon company brand, you’ll also find their other creations including – but not limited to – Kara no Kyoukai (a.k.a. the Garden of Sinners) and Tsukihime. Although they are separate series, they are considered to be all part of the same universe, or as it’s sometimes called, ‘Nasuverse’. They’ve had many crossovers, mostly within visual and light novels, but they are considered separate stories and can be experienced as such. The best Western comparison I can give you to help you understand is the Marvel Cinematic Universe (or MCU); each superhero from Iron Man to the Guardians of the Galaxy have their own series, but they are also part of the same universe, and therefore have crossovers between each other. They acknowledge each other’s world rules and characters whilst also carrying on with their own personal story. That is where it all began; it’s a visual novel game originally released in Japan in January 2004. This game first introduced the Holy Grail War concept, the Servants and Masters relationships, the initial major characters and heroes that later become prominent icons across the franchise and set the groundwork for the entire world-building that the rest of the series follows. The game itself has three separate stories (also known as routes); they’re identified separately as Fate, Unlimited Blade Works and Heaven’s Feel. Each route serves like three distinct stories, or alternative timelines if you will, of the same premise with each route following the main character Shirou but discovering new layers of the Holy Grail War, developing as a character, and pursuing a relationship with a different female each time. 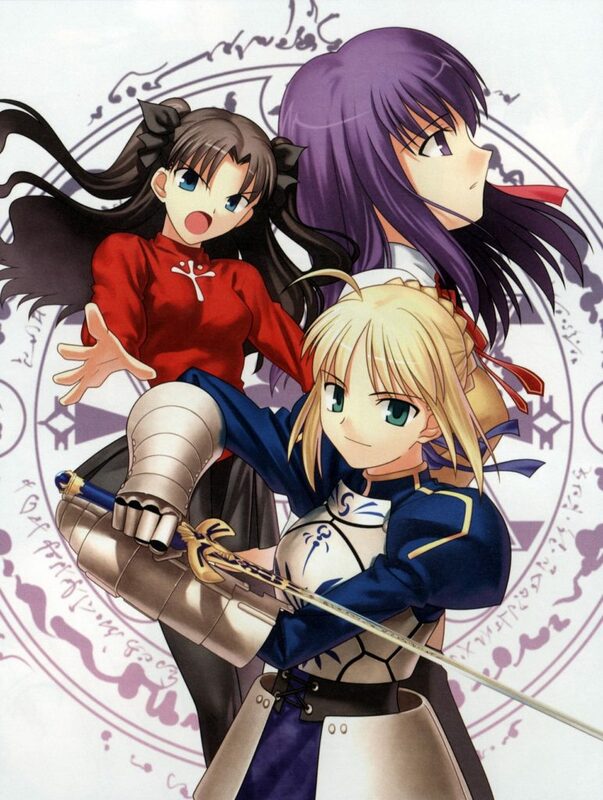 The multiple love interest is not uncommon for a visual novel, but Fate/Stay Night is famous for its deep-branching story lines and a complexity not normally found in the genre. Wait – back track a bit, what is a visual novel? It’s a type of video game, specifically a genre where little game-play is required; it’s like an interactive choose-your-own-adventure story, led by scrolling text and still anime images, where all the player needs to do is choose from multiple options as and when the game needs it, whether it be picking what the character says next or what pathway to take. There’s tons of sub-genres and it’s very popular in Japan. You may have heard of ‘dating sims’? That’s a type of visual novel. The first Fate game was a visual novel, and several other titles in the franchise are as well, but not all of it is exclusively. OK, why is it so popular? Well, for several reasons actually! Let’s first look at the basic premise: the idea of historical figures battling for an ultimate prize is a goldmine of story-telling glory. We have many fandom debates about whether Batman could beat up Superman, or when crossovers such as the recent Avengers; Infinity War happen, there’s always an explosion of fans who wonder which superheroes would click with each other and which will be rivals off the bat. Fate takes this concept but applies it to people that are part of our national history, and the series doesn’t just restrict itself to Japanese icons, Fate pulls heroes from ALL over the world, from different cultures and decades. Ever wondered how King Arthur from British history would hold up against Cú Chulainn from Irish mythology? Or Gilgamesh vs. Hassan-e Sabbāh? Later instalments of Fate also expand on this; why stick to real historical figures or already known warriors? Why not throw William Shakespeare or Frankenstein’s Monster into the mix as well? The Fate franchise is also praised for not only doing extensive research into each of the heroes they use (not just a quick Google Search) but often reinterpreting them in a new light. For example, Medusa is often portrayed as a snake head villain turning people to stone; in Fate she still retains her stone-making abilities but her backstory is far more sympathetic and her design is unique compared to her other incarnations. Out of the huge pool of Servants the series has created so far, only a tiny percentage have been original characters, and there’s still many heroes to uncover or alternative timeline versions of previously established heroes to recreate, so the possibilities are quite literally endless. Outside the Servants, you also have the general world building of Fate itself; although it isn’t as detailed in the anime, with the visual novels and other manual material across the series, the laws of magic and how it works in this universe is very detailed. There’s ranks, different types of magic, fully fleshed-out rituals how to summon a Servants, and so much more. You can tell that the original creator, Kinoko Nasu, spent a lot of time writing and thinking about all these rules, which is a breath of fresh air in the genre. Normally when it comes to fantasy series, they establish basic guidelines but often leave the rest purposely blurry so they can just say ‘it’s magic’ if they write themselves into a corner. But in Fate, there is a clear structure, so if you’re a type of media consumer that thrives on really getting their teeth into the world building of a particular story, you’ll LOVE Fate. Then there’s the original visual novel itself. Fate/Stay Night’s routes weren’t just the same story of the Holy Grail War told with Shirou hooking up with a different girl each time with slightly different variables. The three routes, Fate, Unlimited Blade Works, and Heaven’s Feel, are all very different stories: in tone, how much they reveal about the various characters and the Grail, which characters survive at the end, and, most importantly, how they handle Shirou’s internal struggle. The Fate franchise is often celebrated for not just being another modern fantasy series; it likes to pair it with philosophical discussions – in Stay Night it’s the concept of the ‘All loving, self-sacrificing hero’ – is it a possible dream or a childish notion? This is Shirou’s struggle and it’s resolved in three different ways across the routes. The writing quality may or may not be impactful depending on how you feel about Shirou as a character, but considering that Fate even attempts to raise these questions and provide more than just magical brawls, is one of the reasons why many Fate fans fell in love with this series and keep coming back to it. Alright, is Fate really that big of a deal? Yes very, since its conception essentially; when the first game was released back on PC only, it rapidly became one of the most popular visuals novels in history, earning ‘highest selling visual novel’ title in 2004 by retailer Getchu.com. The game has since been re-released on Playstation 2 and PS Vita; with additional content and voice acting added from the original version. Even an OVA of the original creator’s draft, titled Fate/Prototype, that he wrote back in high school has been released in Japan! Beyond Fate/Stay Night, when the anime version of Fate/Zero first came to Blu-ray in Japan, it sold 43,000 copies in its first week, becoming the highest-selling anime TV Blu-ray box set in its first-week sales, beating the previous record holder, Haruhi Suzumiya. Most recently; the Fate/Grand Order app has proved to be the most successful of all with over 7 million users in Japan, and in just 51 days of launch, it out-grossed Pokémon Go, yes THAT Pokémon Go. Wow, impressive! But is that only in Japan? Maybe once upon a time, but as of late, very much no. 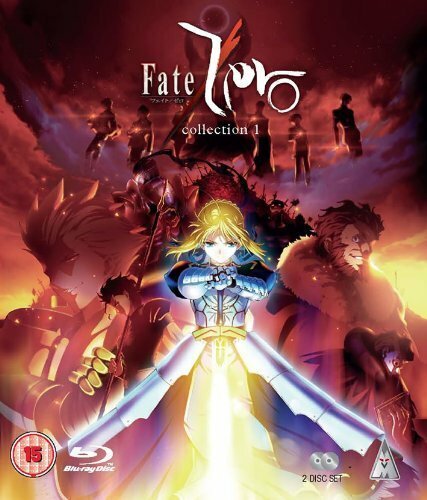 The Western release of the anime adaptation of Fate/Zero did a lot to shoot the Fate franchise into mainstream anime popularity; it was incredibly well received by critics and made many Top 10 list of that year and decade it came out, including non-anime sites such as WatchMojo.com. 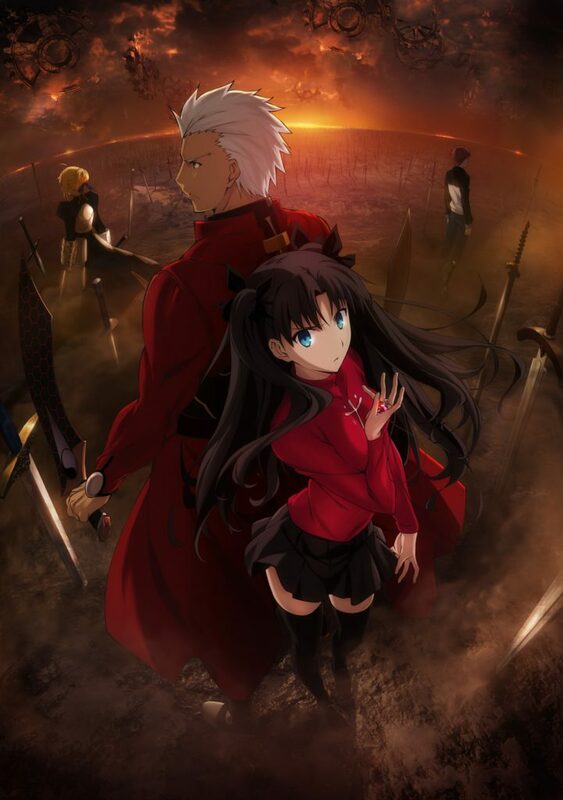 Then when Ufotable, the production team behind Fate/Zero, announced it was adapting the Unlimited Blade Works route, it was highly anticipated and became an incredibly heated point of discussion over on Anime News Network forums. More recently, when the premiere of the first Heaven’s Feel movie came to Theatre at Ace Hotel cinema in California, it sold out within 2 weeks of tickets going on sale: that’s unheard of for anime screenings! 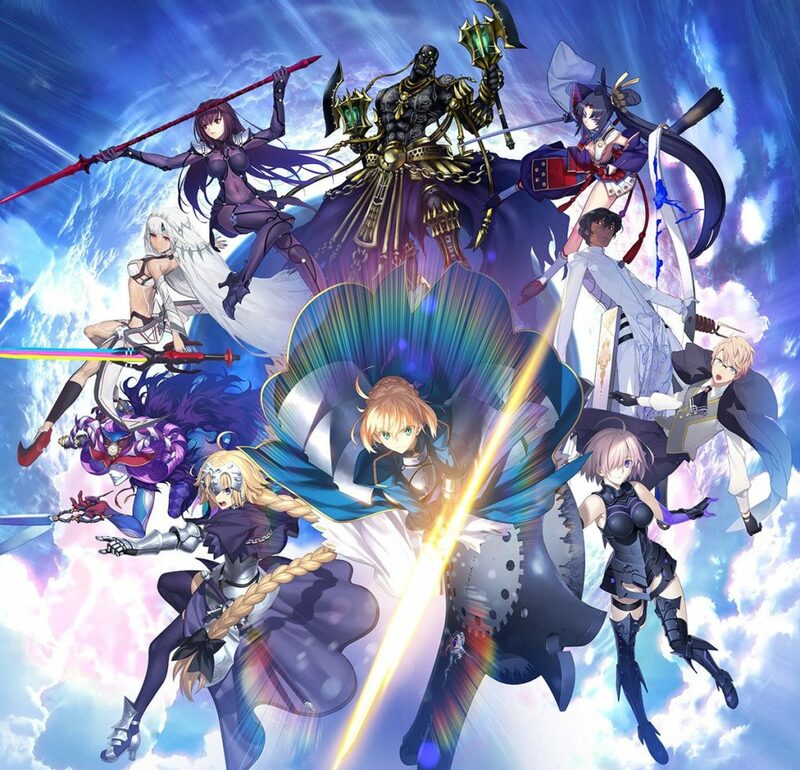 The Fate/Grand Order app has also opened up a floodgate of new fans as well; 2 million downloads already in the US, with expansions to other countries including South Asia and Australia. This currently doesn’t include the UK, however there’s a reason that Netflix keeps licensing and co-producing a ton of Fate-related anime and releasing it for Western audiences; at the time of writing you can find the 2006 anime, the Unlimited Blade Works TV series, and their co-produced Apocrypha, with another series Extra: Last Encore on the way as well. It’s safe to say that the Fate gravy train is not stopping anytime soon. So, if I wanted to take my first step into the Fate franchise, where should I start? Well you see, that seems like a simple question but actually it’s not. Technically, the answer should be ‘from the very beginning’, which is the original Fate/Stay Night visual novel. However, it has yet to be released outside of Japan; considering how popular the Fate franchise is, it’s baffling that the game hasn’t been licensed yet for an English release. One can only assume that it’s a licensing issue, because I guarantee that if a Kickstarter for the original game ever launched, it’d reach its goal within minutes. So, if you want to get into the Fate franchise, unless you’re willing to invest in fan-translations/illegal downloads of the game (which I’m not condoning), you’ll have to start elsewhere. That’s where anime comes in; luckily the majority of the Fate-based anime has been released in the West, so the anime side of the mega-franchise of Fate is the best place to start your journey, and it’s all still in license! The original visual novel has been adapted, at the time of writing, into four different anime properties. Wait – there’s 4 different versions of Fate/Stay Night???? Help!!! Fate/Stay Night Heaven’s Feel; 1. Presage Flower Movie – Ufotable – 2017 onwards; first of a three-part movie series adapting the Heaven’s Feel route. Currently this is the only version not licensed in the UK. Hence why I felt the need to make this guide! But let me simplify all that; like the original visual novel began with the Fate route, all anime viewers should do the same with Studio DEEN’s anime of the same route. The Fate route may not be as heavy in action or lore as the others, however it was designed to be the route to introduce the main characters, the basic rules of the Holy Grail War, and set the stage for future adaptations to come. So, if you start there, and go through all episodes, you’ll understand all that and be ready to take on the next step of your Fate journey. 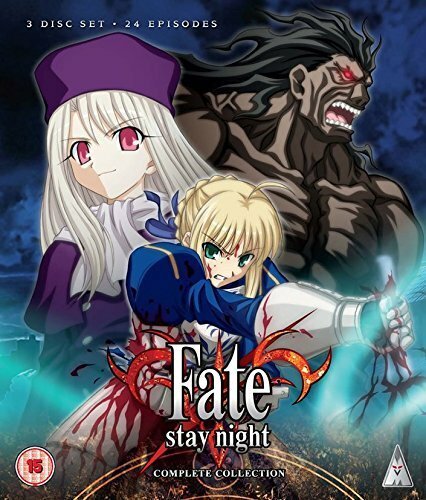 Fate/Stay Night 2006 is currently streaming on Netflix and is out now on DVD/Blu-ray via MVM. So after I’m done with that, what should I move onto next? STOP that thought right there; yes Fate/Zero is a prequel to Fate/Stay Night, however the light novel it’s based on was created after the Fate/Stay Night visual novel and was written with the intention of Fate/Stay Night fans already going in and knowing the basics of the Grail War, the repercussions of it, and the identities of the Servants. This means that if you watch Fate/Zero first, a lot of the dramatic weight that comes from the various routes in Fate/Stay Night will no longer have impact. But this can happen vice versa too; there’s a few dramatic moments in Fate/Zero that work fantastically because you know how it’s going to affect the characters in Fate/Stay Night. There have been a few anime fans that did start with Fate/Zero, and more power to them, but for the best watching experience and ease of knowledge gaining without having to consult a Wikipedia, watch Fate/Zero AFTER Fate/Stay Night. 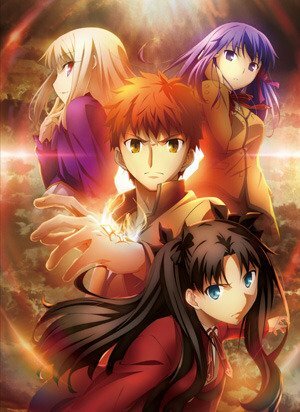 After Fate/Zero, Ufotable then released their own adaptation of the Unlimited Blade Works route, which came out in 2014 and is, again, licensed by MVM and currently streaming on Netflix. This should be your next anime to watch as it (for the most part) works off the knowledge you would have gained from the Fate route (the DEEN anime) AND the prequel Fate/Zero. So, to quickly recap, your viewing order will look like this; Fate/Stay Night 2006 DEEN anime -> Fate/Zero anime -> Fate/Stay Night Unlimited Blade Works 2014 anime. OK, so after watching those 3 series, where to next? Well, the world is your oyster now; you’re fully equipped with solid Fate knowledge and good to go wherever your interests take you! Want to spend more time with the characters introduced in Fate/Stay Night? The DEEN Unlimited Blade Works movie or the Ufotable web series Today’s Menu for Emiya Family can hit the spot. Fancy looking at an alternative universe interpretation of the Holy Grail War? Fate/Apocrypha or Grand Order: First Order movie will give you that. Interested in a magical girl version of the story? Fate/kaleid liner PRISMA ILLYA has got you covered. Or want to explore more of the Type Moon universe outside of Fate? There’s Garden of Sinners movie series, or Tsukihime. There’s loads of material out there just in the anime department, and even more outside of it. Hmmm, one more question; if I want to find out more information, where can I go? 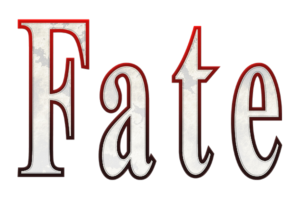 Like every popular property, Fate has its own Wiki; well to be more precise the Type Moon/Nasuverse has its own wiki, with an extremely large chunk of it dedicated to Fate and has fountains upon fountains of information. Anime News Network has an encyclopaedia but also many Fate-related articles that discuss the history and background of the various heroes featured in the anime series. And of course, be sure to keep an eye on Anime UK News for further Fate release information, news and reviews. You’re now ready to start your Fate journey – good luck! All details of licenses and releases are correct at the time of publishing the article. Anime UK News does not accept the responsibility of time, money, sanity, or relationships with loved ones you may or may not loose whilst diving into the Fate franchise rabbit hole. It’s too early to tell right now whether this will end up being the best adaptation of Fate/Stay Night so far, but as a stand-alone movie, it delivers exactly what you expect from this route and from this production company. Fate/Extra Last Encore is an unusual addition to the Fate anime line-up so far – however it’s worth the time to stream if you’re a Fate fan and keep your expectations low. Fate/Stay Night: Unlimited Blade Works had a lot riding on it when it came out, and so far the series is delivering the action, world building and the recognisable characters in spades.